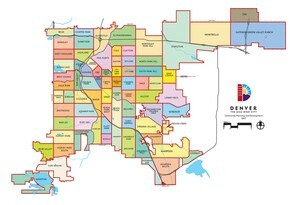 Nestled in the heart of The Denver Tech Center is the city of Greenwood Village. Originally settled in the 1860's and spurred by the gold rush, today Greenwood Village is a modern-urban residenital center. With many of Denver's most prominent businesses located in the area, Greenwood Village offers a downtown feel to its residents, while offering the subtleties of suburban living. The city has an ever expansive trail system for biking, running and walking along with over 300 acres of parks and 100 acres of open space that offer scenic views of the Rocky Mountains and place for residents to catch some fresh mountain air. Being in one of the largest employment centers in the Rocky Mountain Region, Greenwood Village is also one of the highest income communities in the nation, with a median income above $115,000. Many of the homes in the area reflect this and average listing prices are commonly found around $1 million or more.